World AIDS Vaccine Day is observed annually on May 18. This observance is also known as HIV Vaccine Awareness Day. The concept of World AIDS Vaccine Day was created on May 18, 1997, when then-President of the USA Bill Clinton delivered a commencement speech at Morgan State University and challenged the world to develop an AIDS vaccine. The need for a vaccine, that would stop spreading of HIV and AIDS is still urgent today, that is why the observance of World AIDS Vaccine Day should draw public attention to this problem. Nowadays thousands of scientists, health professionals and volunteers work together to find a safe and effective vaccine. Unfortunately, the lack of new technologies stops the progress. International community should recognize the importance of investing in new technologies development. The very first observance of World AIDS Vaccine Day took place on May 18, 1998 to commemorate Clinton's speech. 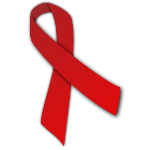 This tradition continues today, as a good way to remind people about the HIV/AIDS preventive measures.